I am excited to the participating in the CompoKeeper Giveaway! Composting is a great way to reduce, reuse and recycle. 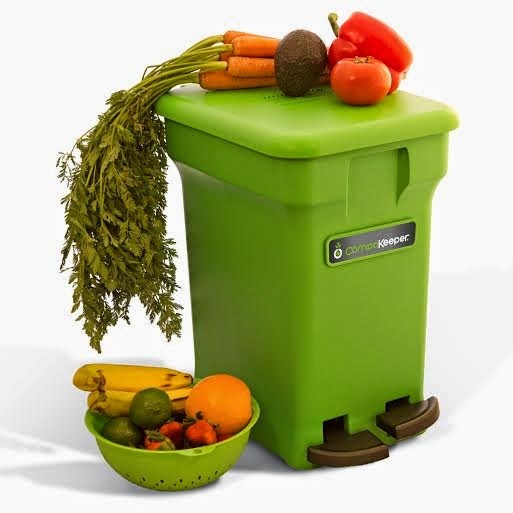 The great folks at CompoKeeper has created an awesome kitchen compost bin that makes composting easier, cleaner and more enjoyable! The CompoKeeper is a cleverly-designed composting bin that makes composting easier and more favorable for families throughout America. Designed to hold more compost than a typical kitchen compost pale, the CompoKeeper allows you to store more compost and prevent daily trips to the pile. But what about the smells? If you have ever tried composting, you know that after 2-3 days the odor becomes noticeable. Well, the CompoKeeper has you covered. Literally! Designed with a hands-free lid and self-sealing bag, the CompoKeeper prevents odors caused by composting, fruit flies and common concerns associated with keep compost in the kitchen. Air holes provide circulation to promote a healthy and active compost pile. Carbon filters installed in the lid to prevent odors and increase air circulation. 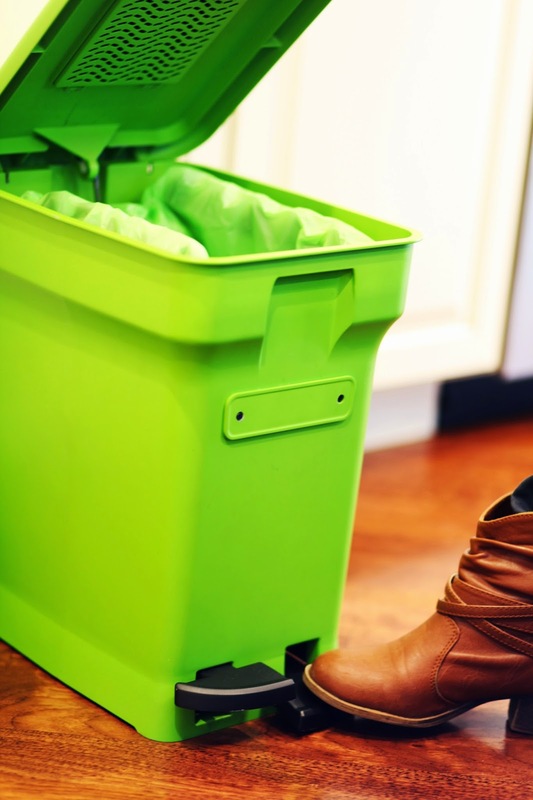 The handy foot pedal creates a hands-free design to make make composting easier and cleaner. Odor control through the bag seal, holes for air circulation, carbon filter, and stylized lid to keep away fruit flies. Foot pedal operated clamps for hands-free opening and closing. 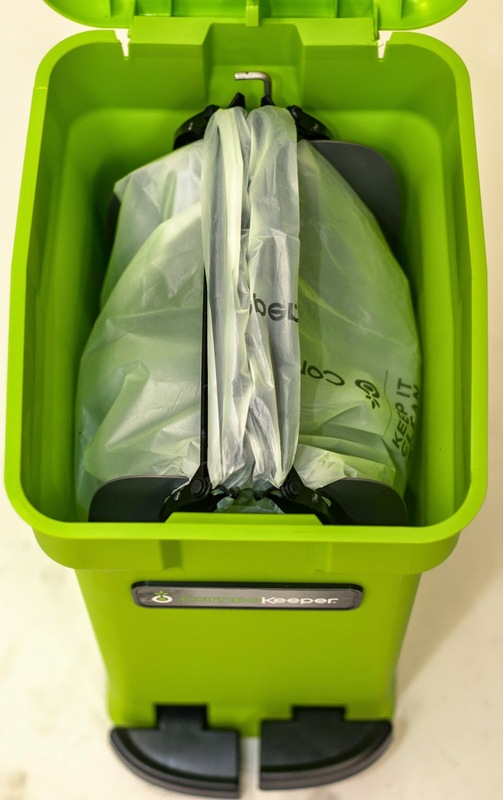 Easy bag removal tote keeps spillage from happening during trips to the outdoor bin. Floor-standing profile to allow it to be stored by the trash bin or tucked away under the sink for easy kitchen integration. 4 stylish colors to go with any kitchen. Got to have one for yourself? Feeling lucky? Here's your chance to win your own CompoKeeper! Enter to win via the Giveaway Tool below. Open to US Residents of Legal Age. Void where prohibited. Winner will be notified via email and have 48 hours to respond or a new winner will be chosen. CompoKeeper is responsible for prize fulfillment and shipment. Facebook, Twitter, Pinterest and other social media sites are not affiliated or responsible for this giveaway in any way. None of the participating blogs or bloggers received any form of compensation for sharing this giveaway. Brands & Sponsors: Are you a brand looking to promote your product or services through digital marketing and blogger outreach? If so, please visit Social Exposure PR for more information or contact Stephanie at socialexposurepr@gmail.com. Love Giveaways? Check out my current giveaways here and my current blogger opps here! This is the first one I've seen that is not embarrassing to have out where guests will see it. I hate the odor that comes from our current one, and it's ugly too. This is real nice. My family composted our whole lives, long before we'd ever heard the word composting. So, when I got married, I just kept on doing it. I've always done everything environmentally correct, before that was termed also. It's jsut logical to most thinking people. My husband would love this because like composting but I don't like the odor that goes along with composting. I would LOVE to win this I compost and I use coffee cans now, This would be great!